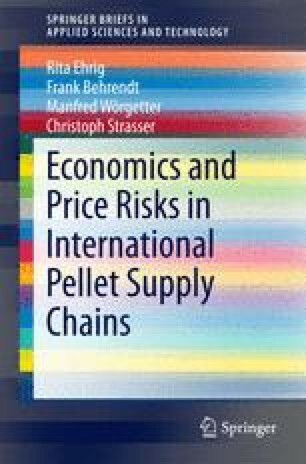 This chapter describes the three chosen case studies for biomass supply from Canada, Australia, and Russia to the EU. The case studies contain a detailed cost outline from biomass resource to final consumer for the year 2011. The supply patterns include raw material, pellet production phase, transportation and shipping to the EU, delivery to the conversion plant and final conversion in a coal co-firing plant. The individual costs are summarised and compared, explaining the related market connections. Dedicated and region specific cost drivers and economic framework conditions are defined along the whole biomass supply chain.